Match Preview: Hammers To Squash Cherries? Back to league action with another chance to put more daylight between West Ham and the floundering relegation pack; and maybe even take a curious glance at what is happening immediately below the top six. When West Ham met Bournemouth just a few short weeks ago for a Boxing Day fixture the two teams were placed 17th and 18th respectively in the Premier League table and were among the favourites for the dreaded drop to the Championship. Since then both have taken eight points from four games and sit a little more comfortably in what now passes for mid-table at the increasingly congested lower end of league. According to the bookmakers, there are nine teams more likely to be relegated than the Hammers and seven that are seen to be teetering closer to the precipice than the Cherries. Boxing Day’s 3-3 drawn game is best remembered for the terrible refereeing by Robert (Call Me Bobby) Madley who saw fit to overrule his linesman’s call and allow an offside goal scored with his hand by Callum Wilson during time added on for Simon Francis’ yellow-card only attempt to decapitate Cheikhou Kouyate. Interestingly, the website I visit to check referee statistics appears to have mysteriously erased Madley’s involvement in the game from history (http://www.soccerbase.com/referees/referee.sd?referee_id=1189). It seems that there were no sanctions forthcoming as a consequence of Madley’s professional incompetence and he continues to be allocated to major games. Away from the controversy West Ham were largely outplayed in the match where goals were given away like late Christmas presents in a spirit of seasonal generosity. Both sides were involved in mid-week FA Cup replay action against League One sides and, while West Ham squeezed past second placed Shrewsbury, Bournemouth were comfortably beaten by leaders Wigan Athletic – who West Ham now face in the 4th round. It is difficult to draw any conclusions from the outcome of those two games as the unfortunate tendency of Premier League clubs is to to view competing in the early rounds of the FA Cup as optional. The Hammer’s obvious struggle to break down Shrewsbury’s packed defence was, however, typical of their plodding attempts to win home games against fellow lower table teams. Thankfully this should be less of an issue in today’s game with Eddie Howe preferring his team to adopt a generally adventurous approach to games whether they are at home or away. The contest between West Ham and Bournemouth is still in its embryonic stage with the Cherries a relative newcomer to the top table of English football. 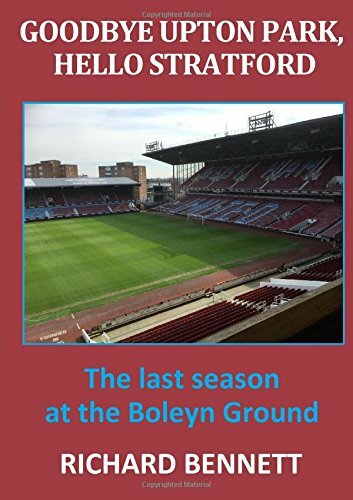 The visitors famously mugged us off during the last season at the Boleyn while West Ham were fortunate winners the following season in the inaugural league fixture at the London Stadium. One thing for sure is that neither team will line up as they did for their midweek cup games. West Ham are likely to be still without Winston Reid, Michail Antonio, Andy Carroll, Edmilson Fernandes and Jose Fonte. The starting eleven could well be a reprise of the one that kicked off against Huddersfield last weekend – not because it is wrong to change a winning team but because there are few alternatives available. Although such a lineup might be considered defensive minded and not best suited to breaking down a massed defence it might well work against Bournemouth. If Marko Arnautovic and Manuel Lanzini can repeat last week’s magic and put Bournemouth under pressure then Cherries keeper Begovic and captain Francis are often good for a ricket or two. Bournemouth are reported to be missing Josh King and former Hammer’s ‘favourites’ Jermaine Defoe and Junior Stanislas. I watched most of their game against Arsenal last week and once the Gunners went ahead I thought that would be it. As a big admirer of what Eddie Howe has achieved on the south coast I have always been baffled to understand what on earth prompted him to shell out such big money for Jordan Ibe. I was commenting on how his performance against Arsenal was as shocking as usual when lo and behold he pops up with the winner. To avoid tempting fate I will cast no such aspersions this time around. In the absence of the impressive King, Callum Wilson presents the greatest threat and the West Ham defence need to remain alive to his fine movement. Referee Martin Atkinson from West Yorkshire covers his fourth Hammers match of the season having previously whistled along to defeats at Old Trafford and at home to Brighton, plus the home draw with Leicester. No Max Headroom VAR today and so we must rely on his eyes alone (and those of his assistants hopefully) to ensure all is fair. Atkinson’s record this year is 19 games, 63 yellows and 4 reds. The BBC’s Lawro has shifted momentarily from his uncomfortable position on the fence by forecasting a 2-0 home win for the Hammers. Sky’s Paul Merson (Football Expert and Columnist) also sees a West Ham win but this time by 2-1. I am still in a positive frame of mind and will back the rip roaring, free scoring Hammers to canter to a 3-1 win, as our blindside assault on the European places gathers apace. Time for the London Stadium to be graced by a touch of West Ham style. Come On You Irons! Next Next post: Will West Ham Be Up For T’Cup at Wigan?